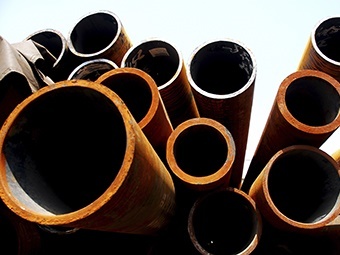 Arran Pipeline stocks a large range (1/2” to 32”) of nominal bore to ASTM A106. Please specify nominal bore, wall thickness and length (if cutting required). Most pipe comes in random lengths of approximately 6 meters. We stock a range of flanges and fittings to suit. 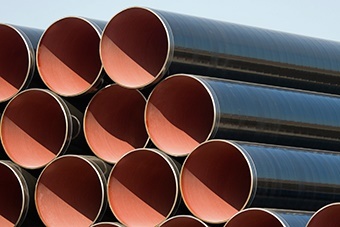 CARBON STEEL PIPE - Our stock is ERW (ELECTRIC RESISTANCE WELDED) certified to API 5L. 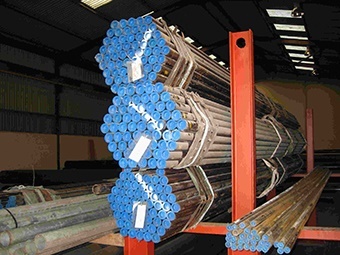 We stock a range (6” to 36”) of nominal bore to various wall thicknesses. BS1387 pipe - for the plumbing and fire sprinkler market. Stainless Steel tube- ASTM A316. We offer a range of stainless steel tube, please contact us for specifics. GALVANISED HAND RAIL - Arran Pipeline stocks the Q clamp range of handrail and fittings in 3/4”, 1”, 1 ¼”, 1 ½”, and 2” Nominal bore. These are TUV approved, and are to BS EN 1562:1997, grade B2-10 with galvanising to BS EN 1461:1999. Please email us at sales@arranps.co.uk for a quote.